China’s longest river, the Yangtze, is becoming extremely busy as it plays a core role in government efforts to develop the country’s interior. As industry moves west, raw materials to feed it are being shipped via the waterway, which runs between major ports in the east and provinces further inland. At the same time, the river is being drawn upon for hydropower projects, industrial use, drinking water and tourism. However, along with increased usage has come a plethora of problems. Better management is urgently needed. Shipping capacity on the Yangtze has risen dramatically over the past decade, as billions of renminbi have been poured into dredging and deepening it. The river, which runs from the Qinghai-Tibetan plateau to the East China Sea in Shanghai, accounts for around 80% of China’s river cargo transport. A high priority has been placed on its development, as it is being tapped to drive growth in the regions further inland through which it winds. Heavy loads, such as iron ore, are cheaper to transport by river than by rail or road, owing to lower fuel costs and the absence of tolls. As inland demand has boomed in the past decade, so has shipping traffic. This includes inputs for industry, such as iron ore and automotive components, as well as for consumption, such as soybeans. 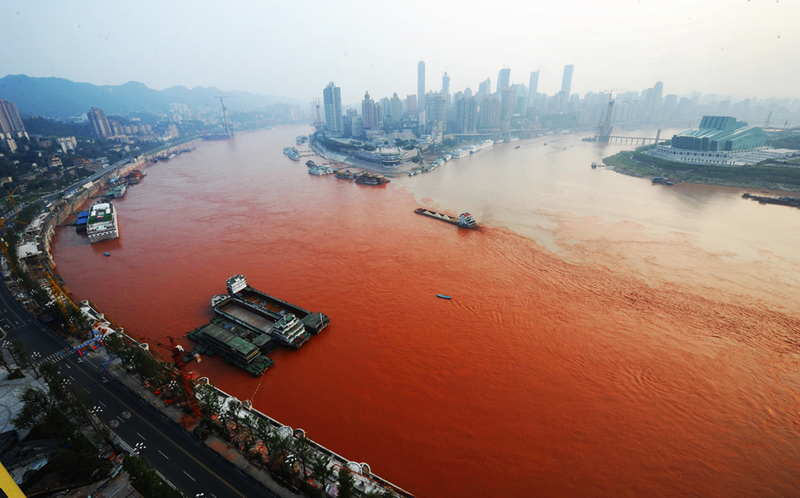 The Yangtze also serves as a means for inland cities such as Chongqing, where production of cars and steel is booming, to ship such goods downstream for sale or export. Shipping volumes on the river’s main course quadrupled over 2003‑12. In the first five months of 2013, container throughput on the Yangtze rose by 22.2% year on year, picking up from the 8.7% growth it recorded in the same period of 2012. Efforts are under way to raise throughput further. More dredging will take place to deepen the river, enabling it to handle heavier vessels. The State Council (China’s cabinet) has announced a goal of raising inland river freight capacity to 3bn tonnes a year by 2020—double the amount transported in 2010. Alongside this, cities along the river’s path have rolled out their own visions for the development of their river ports and logistics capacities. Plans for major ports along the Yangtze, particularly at Cuntan Bonded Zone in Chongqing, emphasise raised shipping capacities and the ability to handle larger ships. In 2012, for example, local media reported that Wuhan’s government had approved a Rmb300bn (US$48bn) five‑year blueprint to develop the capital of Hubei province into a major shipping hub. Cadres in smaller port hubs also have great aspirations to exploit their position along the Yangtze. Officials in Anqing (Anhui province) are attempting to turn its river port into a regional shipping hub, allocating Rmb10bn for development. 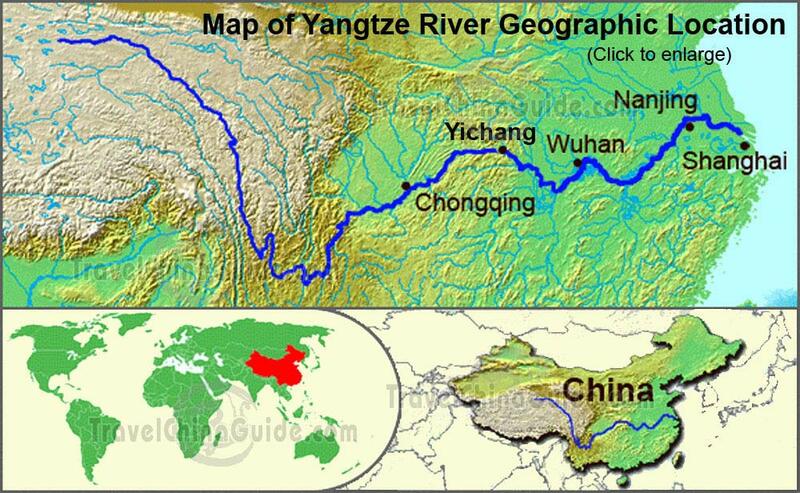 But at the same time, the Yangtze is being tapped for a growing number of hydropower projects. Provincial governments are under pressure to raise the proportion of renewable sources in total energy use to 15% by 2020, and regions through which the river runs are keen to exploit it. According to local media, at least 11 hydropower projects have either been completed or are under construction on the river’s upper reaches. The Xiluodu hydropower station is being built at the Yangtze’s headwaters, also called the Jinsha. 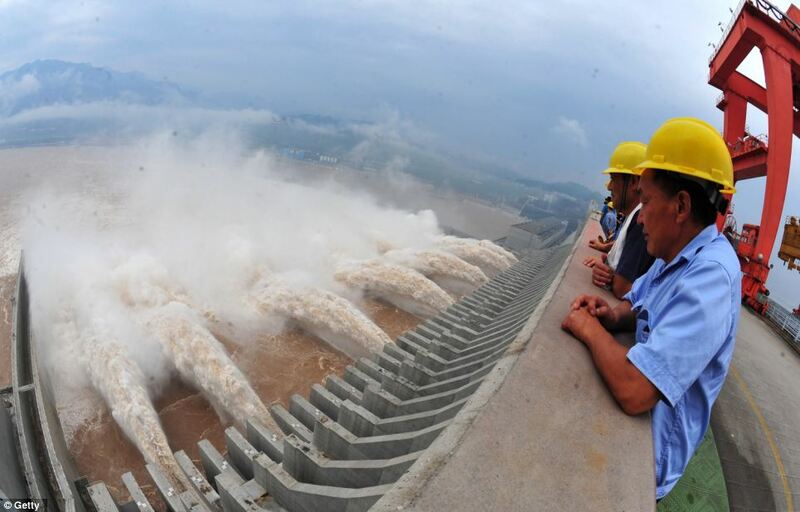 When completed later this year, it will become the country’s second-largest hydropower project after the Three Gorges Dam, which sits on the Yangtze in Hubei. While the reconstruction in Japan proceeds at a slow pace, a group of architects has created a series of public buildings working directly with local communities, erecting kindergardens, community spaces and play centres near temporary housing zones. What famous "starchhitects" can do withtheir fame for the real world – in colaboration with people and with each other. Africa’s ‘new cities’: Urban future or utopian fantasies? Gleaming high-tech cities are being planned across Africa. Some say they are unrealistic, others say they are the future. Scepticism aside – the reality of these money making dreams is not even worth questioning – where will the people who live there now be dumped by the ambitious and avericious plans of ploiticians and developers? How wil lthe average African benifit from this??? We are living in a remarkable era of connectivity. People living in Seoul, Korea, for example, are becoming much more closely intertwined with people living in New York City, and finding solutions to the myriad issues we all face has become of vital importance. Such intertwining extends to government, the market, and civil society as well, requiring collaboration among the three sectors in order to create effective solutions. Indeed, our era requires deep understanding, swift decision-making, revolutionary innovations, and empathetic approaches. In the past, society often operated according to market rationality, and winners and losers were clearly defined. But gradually, the search for solutions inspired the growth of civil society and the birth of numerous civil society organizations from diverse realms. Despite this growth, the civil sector lacked the power by itself to solve these problems. Likewise, the private sector and the government found that they, too, could not solve social problems on their own. Such constraints led the three sectors to pursue strategic cooperation with the goal of finding solutions to complex issues. This new reality—that cooperation and collaboration, rather than conflict and competition, hold the key—is now apparent. Cross-sector innovation is a tremendous advance over the way that society had been addressing social problems. I have made a point of soliciting greater citizen input and getting citizens more directly involved in decision-making, and expanding collaboration between government, the market, and civil society. As the mayor of Seoul, I have striven to create innovative ways of governing that are based on cooperation and collaboration. I have made a point of soliciting greater citizen input and getting citizens more directly involved in decision-making, fostering social enterprises that use innovative approaches to tackle social problems, and expanding collaboration between government, the market, and civil society. My approach to governing has been shaped over my three decades of work before taking office—as a political activist, as a human rights lawyer, and as founder of a watchdog organization, community foundation, social enterprise, and think tank. I was privileged to be part of an effort to help civil society take root in South Korea (officially known as the Republic of Korea), and I believe that my career traces the evolution of important developments in modern South Korea that have brought us to this moment of innovation and greater collaboration. And so before I detail some of the social innovation efforts Seoul City has pursued, allow me to share a bit of my own personal journey, which I hope will provide greater context. 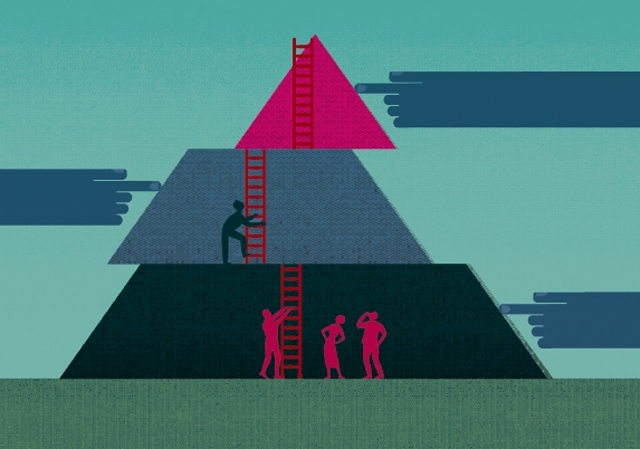 No matter how good a job government does to involve the ideas of its citizens, we cannot expect to solve all of the complex problems we face using the perspective of just one expert or the skills of just one sector. Would this really be a good thing? While I am sceptical of the World Bank and its interventionist strategies and I know that the region needs renewable power but the enviromental costs of large scale hydro-electric schemes is well documented, this together withthe regions unstable politics is very scary. South Africa has had experience of this problem with Cabora Basa scheme in Mosambique before and…..
Design with a capital “D”- in trouble? Two editorial/essays in this months Domus both question the much hyped dominance of design and design thinking in the contemporary world. In the first one, Design wars, Justin McGuirk looks at the commercial sphere, where Samsung’s lead in sales of phones and tablets on Apple brings the relative conceptions of what design is into focus and examines wether Samsung is in fact more robust in its methods of broad based innovation, introducing many models and winnowing out the winners, trashing the losers and quickly adapting to users responses than Apple with its development of a single ‘one-size-fits -all’ strategy . In the rapidly evolving world of cell phone technology, this is probably a more viable and humble strategy than betting the house on a single design as Apple have done, with some monumental failures in its past. Since no one has divine insight into the future, it is infinitely more “Antifragile” as Nicholas Taleb points out in his latest book of the same name, to entertain many options and by a process of “tinkering” engage with the actor – worlds that constitute reality and are where the seeds of the future are germinating. “Is Samsung really the ersatz Apple that it is sometimes portrayed as, or does it simply have a different idea of what design is? The answer, rather obviously, is that Apple became what was until recently the world’s largest company by selling “design”. The sheer force of aesthetic desirability combined with an effortless user experience was contagious enough to make businesses the world over, even those not selling products, aware of design’s transformative potential. Samsung, on the other hand, is most often discussed in terms of its technology and its market penetration but rarely its design. So if Apple is superseded by a company that is not particularly feted for its design, then, after all this hype, perhaps design is not quite as important as we thought. But then, is Samsung really the ersatz Apple that it is sometimes portrayed as, or does it simply have a different idea of what design is? Does it have a design ethos? Throughout the history of technology, new tools have come into being before people know how to use them well. This is the problem we face with today’s new ‘smart city’ tools – the CCTV cameras, motion sensors, and computers capable of processing immense amounts of data. The problem is in a way understandable. It takes a long time and much experiment, entailing failure as well as success, to plumb a tool’s possibilities. This was the case, for instance, of the hardened-edge scalpel, which appeared in the sixteenth century: surgeons required nearly a century to figure out best practices and innovative operations with a super sharp knife. But tools for the smart city come with a sting in the tail. Their application can inhibit experiment by ordinary urbanites in their everyday lives. A large city can be thought of as a complex organism whose innards do not work perfectly in sync, whose parts do not add up to a unified whole. Yet there is something valuable just about these dissonances. They can create opportunities economically, when someone seizes on a market irregularity, while lack of coherent control enables personal liberty, and disorder might make subjective experience rich and multi-layered – at least novelists from Defoe to Proust hoped so. To take advantage of these possibilities, the big city needs to be learnt. The risk is that new technologies might repress the inductive and deductive processes people use to make sense, for themselves, of the complex conditions in which they live. The smart city would then become a stupefying smart city. 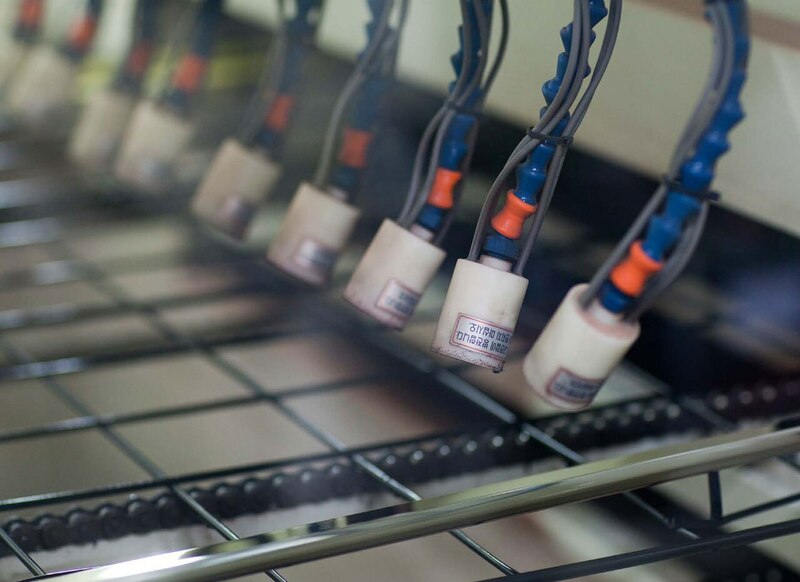 When a new tool proves deadening rather than liberating in use, our first instinct may be to blame the machine itself. That is what Lyon’s silk weavers in the eighteenth century did; they attacked mechanised looms as ‘perfidious works of the devil’. Instead of blaming the machine, we want to ask how the new urban technologies can be used more intelligently – which is more a question about urban planning and vision than about machinery. What kinds of urban design empower people in the street to experiment with their behaviour, and to draw their own conclusions from those experiments? In the 1930s, urbanists like the American Lewis Mumford and architects like the Swiss Sigfried Giedion worried about machines and materials in relation to urban design. Mumford challenged the urban planners’ uncritical embrace of the automobile; Giedion attacked the architects’ conservative use of new building materials. Digital technology has shifted the technological focus to information processing. This can occur in handhelds linked to ‘clouds’ or in command and control centres. The issue is: who controls such information and how is this information organised? Which in turn raises new issues of urban design. The questions the technology poses are much more profound than which software to buy. In this light, I want to make first a comparison between designs that create a stupefying smart city and designs that envision a stimulating smart city. By drawing this contrast, a formal issue then appears: that of the difference between a closed and an open system. And a social possibility emerges as well: the use of stimulating, open system technology to render the city more informal. My own comments here draw on a decade of research done by Urban Age on the visual and social conditions that can enable urbanites to take ownership over their lives. The more scientists learn about how our brains construct cognitive maps of space, the more we may learn about how to design those spaces. About 40 years ago, researchers first began to suspect that we have neurons in our brains called “place cells.” They’re responsible for helping us (rats and humans alike) find our way in the world, navigating the environment with some internal sense of where we are, how far we’ve come, and how to find our way back home. All of this sounds like the work of maps. But our brains do impressively sophisticated mapping work, too, and in ways we never actively notice. This is why these neurons are called “place cells.” And, in constantly shuffling patterns, they generate our cognitive maps of the world. Exactly how they do this, though, has remained a bit of an enigma. The latest research from Mehta and his colleagues, published this month in the online edition of the journal Science, provides more clues. It now appears as if all of the sensory cues around us – the smell of a pizzeria, the feel of a sidewalk, the sound of a passing bus – are much more integral to how our brains map our movement through space than scientists previously believed. And the more scientists learn about how our brains construct cognitive maps of space, the more we may learn about how to design those spaces – streets, neighborhoods, cities – in the first place. Or, rather, we may learn more about the consequences of how we’ve built them so far. How could any urban planner, for starters, not love the idea that “place” is embedded in the brain?